The WS series established for its clear audio quality and superb operability has been improved. The new WS-853 features a new Intelligent Auto Mode, which is perfect for when there is a distance between the speakers and recorder, such as in large meeting rooms. 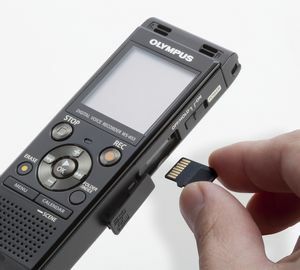 The recorder optimises the recording level regardless of whether the audio source is near or far, making it possible to record audio that is easy to listen to. Simple Mode has been added to the menu for easy, intuitive controls that are perfect for beginners. 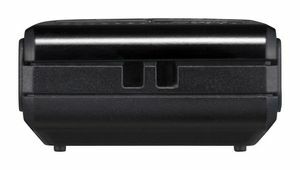 The new WS series recorders can be used in a wide range of situations, from students to business users. 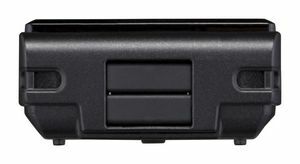 The new Intelligent Auto Mode function automatically adjusts the microphone sensitivity according to the input level. For example, when you record the voice of a person far away in a large meeting room, the input level tends to be lower. 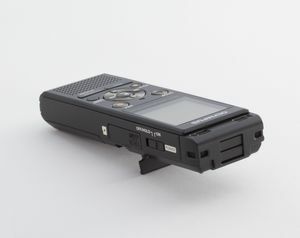 In this case, the recorder automatically raises the sensitivity of the microphone making them easier to hear. Alternatively, when you record in a smaller meeting room with only a few people, the sensitivity is automatically lowered, so that the voice of the speakers close by do not sound too loud. 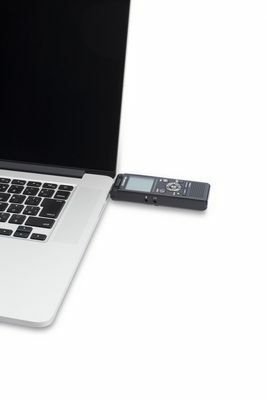 In this way, the function automatically keeps track of the input level and simultaneously adjusts the recording level so that it always records in the best quality. 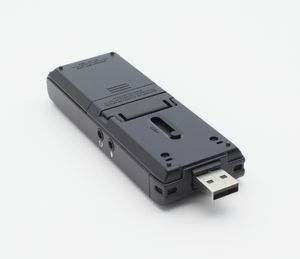 This ensures that the recording remains consistent by not having a speaker’s voice too quiet or too loud. To set this function, simply select “Auto” as the recording level from the menu.